I’ll be honest, I’d be lying if I said I never spent part of my day looking for the most ridiculous (and oftentimes downright comical) search terms that trigger a client’s ad in Google Shopping. Although it may seem like a humorous way to pass time, there is a strong element of strategy behind analyzing search query data. The management of Google Shopping campaigns has become more and more strategic thanks to the enhancements made to AdWords settings over the past 12 months. Campaign managers now have the ability to bid via day-parting, income tier and specific region. 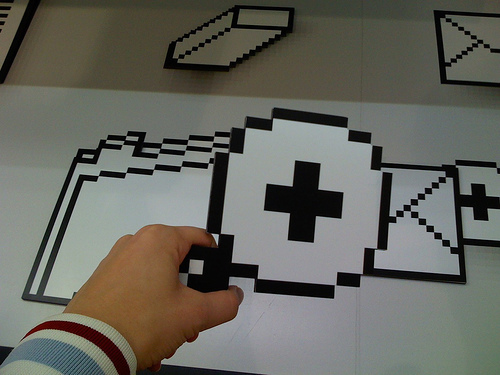 However, the creation of a strong negative keyword list can be a lifesaver when it comes to cutting costs and becoming efficient. It is important to set the desired timeframe one wants to analyze when conducting a search term analysis. Checking for negative search terms over a week or couple of days will not provide sufficient information to draw accurate conclusions and make adjustments from a cost standpoint. Typically, a three to six month window should provide adequate search term information to determine whether a term belongs as a negative or not. The first step is to locate your search term report, which can be found under Dimensions, located in the Campaigns tab of the homepage. Clicking Search Terms will provide a list of terms that have previously triggered a given shopping ad. The Keywords option under the Keywords tab pertains mostly to text ad management. The top three terms are relatively short-tailed and broad, while the more specific term at the bottom of the chart resulted in a conversion. These are strong examples of search terms that could be added as a negative to avoid wasteful spending and to maintain relevant campaigns in Google Shopping. To create a negative search term list, find Shared Library on the far left side of the AdWords homepage. 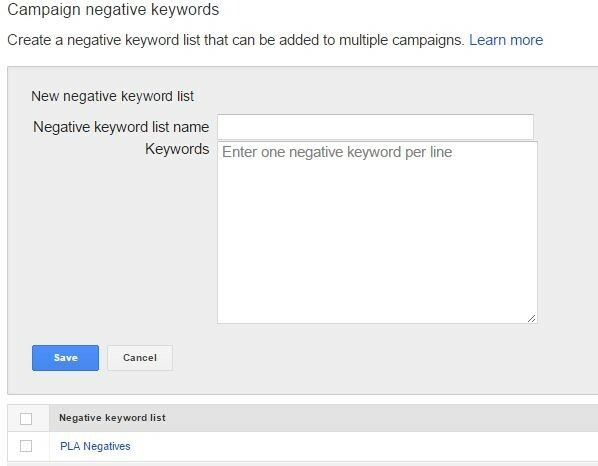 Once found, open Campaign Negative Keywords to create your list, and add negatives for optimal campaign management!